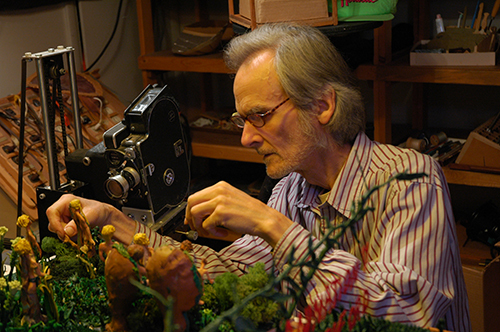 Luck of a Foghorn is a documentary featurette about Seattle underground animator Bruce Bickford, former collaborator of musician Frank Zappa and creator of Prometheus’ Garden, one of the most original stop-motion films in animation history. 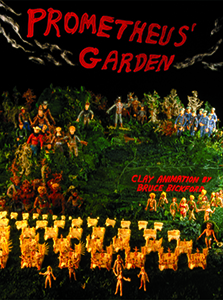 Interweaving Bickford’s pulsing, violent, magical, and mesmerizing clay animation with atmospheric 16mm and Super 8mm cinematography, home movies, and sparse interviews, Luck of a Foghorn takes viewers behind the scenes and deep into the garden of Prometheus. Featuring an original score by Laird Dixon, Luck of a Foghorn is included as a companion piece on the Prometheus’ Garden DVD, produced and released by Brett Ingram's Bright Eye Pictures label.